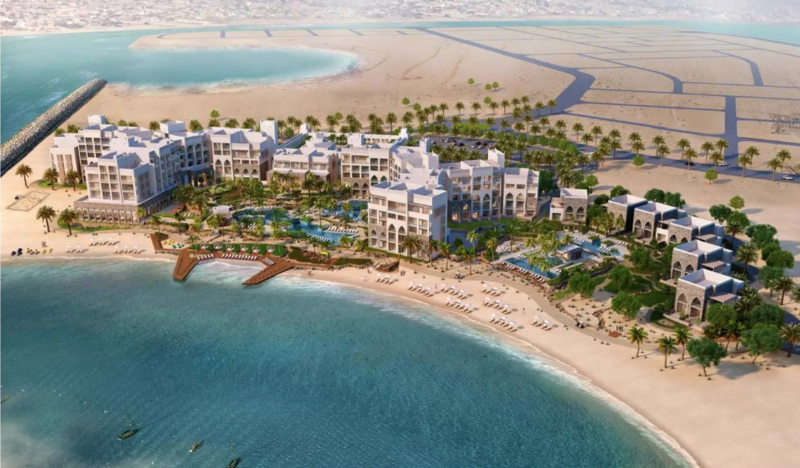 The RAK Marriott Hotel and Resort is a 5-star luxury development with 300 keys comprising 269 rooms, 10 suites and 21 villas, conference halls, health and leisure facilities and numerous food and beverage outlets. The ambitious project had an initial design that overshot the brief and operator’s requirements, rendering the original project unfeasible. The client decided to reset the team and appointed MHPM_Driver for full project management and construction management services. Our team has taken many initiatives to resurrect the project, including appointment of a new design team; development of a multi-phased approach to enable the project to be delivered in a shorter timeframe; assessment of value engineering initiatives to reduce cost whilst maintaining the expected quality and a procurement strategy that supports the client’s time and cost objectives. The project has commenced on-site, with completion expected in 2021.